Published in the Shortlist section of The Sydney Morning Herald, Friday September 18. 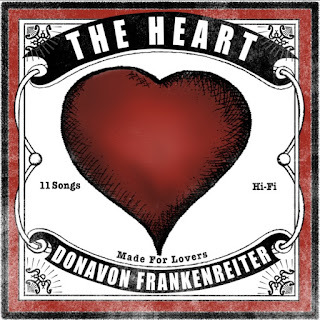 Donavon Frankenreiter’s seventh studio long-player is as you’d expect. Nicely strummed acoustic guitars, bass and subtle percussion backing up, all mellow delivery and sonic sunshine – not a great departure from the sounds which have defined his decade-long solo career thus far. Lyrically based around love – whether for a woman, his father, life in general, hence the title – and with most songs co-written with Grant-Lee Phillips (the renowned American singer-songwriter who also co-wrote with Frankenreiter on his 2008 cut, Pass It Around), it’s a pleasant enough sounding record that sits in the background without being in any way obtrusive. 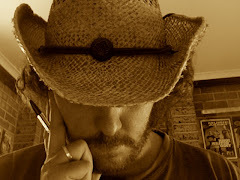 Longtime bassist Matt Grundy also contributes some guitar and backing vocals, helping add to a musical landscape that while well written and executed, is really devoid of any real bumps or turns, anything that’ll challenge or inspire. There’s nothing wrong with The Heart, but there’s nothing particularly exciting about it either. This is one for the fans, no one else. Published in the September / October 2015 issue of Rhythms magazine. Elsewhere in this issue, I’ve reviewed a number of records where the band or artist in question has shown they’re able to evolve within their chosen genre, exhibiting a strong sense of sonic exploration, a wont to change and keep things alive. 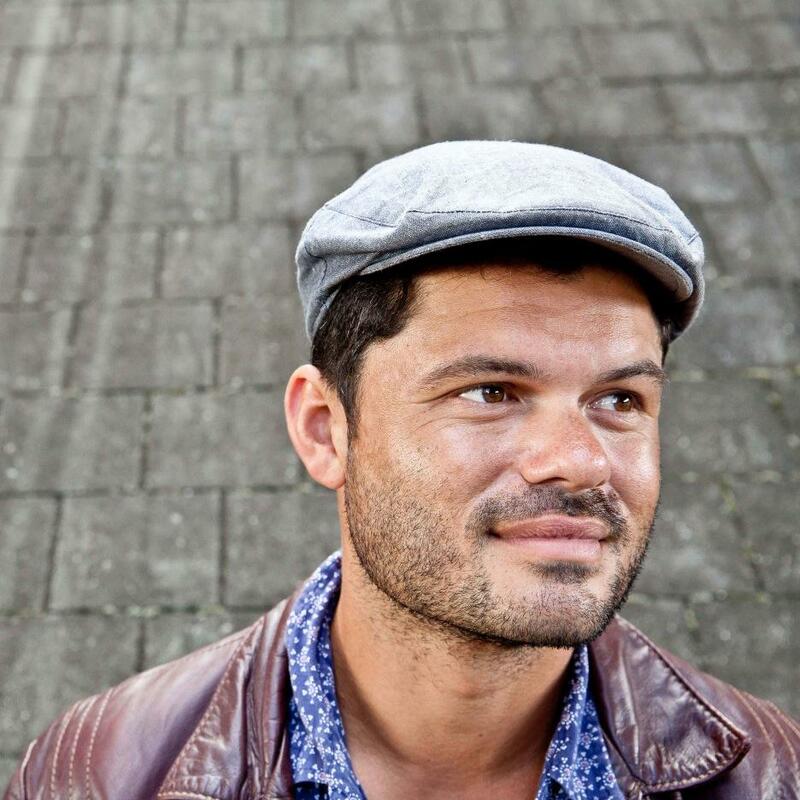 Another artist who’s had this knack his entire career, is of course Ash Grunwald, whose new cut, NOW, shows yet another side to this multi-faceted player. Beginning as a straight bluesman – or as straight a bluesman as he could be, incorporating as he did a good deal of surf and stomp into the style – Grunwald has, over the course of eight studio albums now, shown he’s one of the more chameleonic players on the Australian roots scene. 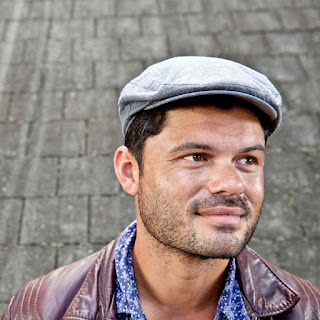 From the blues of Introducing Ash Grunwald (‘02), Live At The Corner (‘04) and I Don’t Believe (‘06), to the more electronic and hip hop-infused Hot Mama Vibes (‘10) and Troubles Door (‘12), which was also released as a re-mix album, Grunwald has grown, explored, evolved, all while keeping to his roots. No matter what he does, you can tell it’s him, which is all part of his appeal. Now then, we have NOW. It should be noted that the sonic deviation here isn’t massive. In fact, it’s somewhat expected, and maybe a little late – I’d have thought he’d have trodden this path years ago, before he delved into the likes of hip hop. For this album is pure psychedelic blues/rock, an exploration into the fuzzier, hazier, heavier aspects of blues music, which may sound formulaic to the untrained ear, but which after only a cursory listen, reveals itself as a lean, muscular, powerhouse of a record. Bringing in the keyboard talents of Ian Perez (Wolfmother) and percussionist Pete Wilkins (ex-Blue King Brown), and utilising a moog synth instead of a stringed bass, Grunwald jumps from his blues foundation into a swampy, wall-of-sound type mire, helmed by production whiz Nick DiDia (RATM, Powderfinger, Springsteen, Pearl Jam et al). Prevalent throughout the record still, are elements of electronica, but in the main it’s a loud, brash, electric jam record, albeit tight – or at least as tight as psych blues can be. “With the last four albums, I’ve said, ‘I’m gonna go back and do a solo, acoustic album’, and then I just always end up coming up with some other crazy idea,” Grunwald laughs on where this sonic dalliance came from. “[This time] I just wanted to have that blues, rock, psychedelic side that I’ve never really let flourish too much. The synth is actually the first sound you hear on the album, opening track ‘River’ featuring its ominous rumble as drums fade in and Grunwald’s guitar, razor sharp, takes it from there. It’s easily the heaviest record he’s made, songs like ‘Evening’, ‘In The Middle’, ‘Losing My Mind’ and closer ‘The Least Among Us’ chugging along, all fuzz and grind, the electronic sound adding a warmth, keys and synth giving it a hazy, ‘60s psych feel. 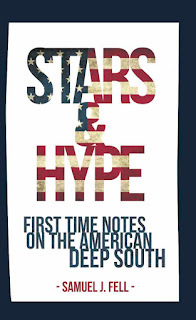 Of course, the blues is there – this kind of music is made from it. But there are a couple of tracks, ‘It Don’t Belong To You’ and ‘The Worst Crimes Are Legal’, where it’s displayed in its raw, pure form – the former begins as almost a field recording, just strumming guitar and Grunwald’s voice, almost in the background, before morphing, exploding, into a funky, fuzzed out gem. The latter is similar, this time with some simple slide beginning proceedings before the bomb drops, in this case a long, slow detonation. 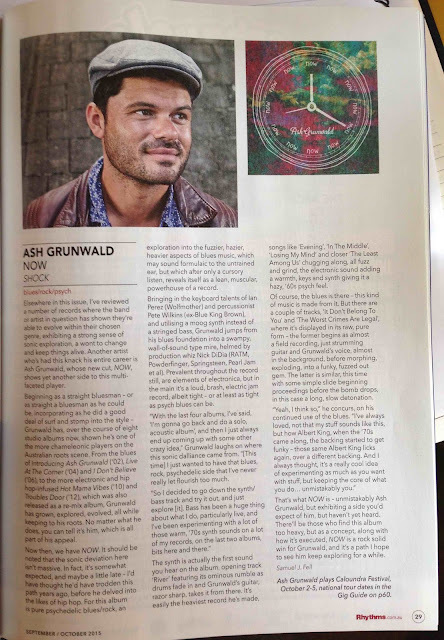 That’s what NOW is – unmistakably Ash Grunwald, but exhibiting a side you’d expect of him, but haven’t yet heard. 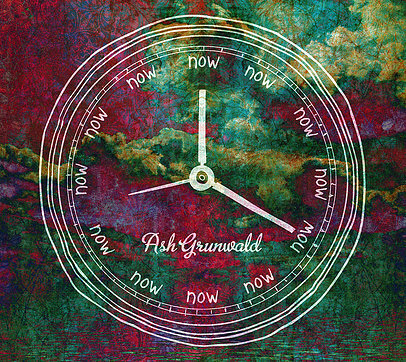 There’ll be those who find this album too heavy, but as a concept, along with how it’s executed, NOW is a rock solid win for Grunwald, and it’s a path I hope to see him keep exploring for a while.